Fischer Competition Skis Junior. Bought as backup skis so only used a few times and still in excellent condition. The junior competition skis can be used for both leisure skiing and for competitive skiing. Comes with bindings. The skis are measured as 130cm. 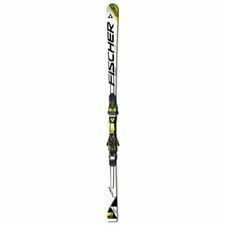 Fischer World Cup Skis 160cm. With Fischer FlowFlex Binding. 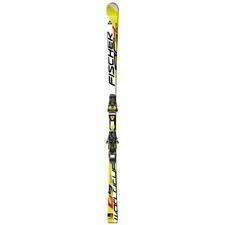 Fischer World Cup Skis 160cm. With Fischer FlowFlex Binding. Condition is Used however only used a few times as they were used as back-up set. The skis can be used for both leisure and competitive skiing. Would suit intermediate/experienced skiers. Fischer GS Ski. Condition is Used. Length 190 cm 35m radius. Used for one week for ski cross but weren’t that suitable for it. Great GS ski or children’s super G ski. Put a price up but feel free to dm me other offers. Fischer touring skis model Ultra Air Tour complete with Fritchi bindings. Size 21.5 / UK 2. Fischer Ski Boots size UK 7.5 , Vacuum Comfort Fit (2 zone), On/Off Piste Mode, Shock Absorber, Ski Walk Mode, Anti Slide Soleplates, Impact Protector. Used only for one holiday but now outgrown. Has a few scuffs but otherwise in great condition. Ladies Fischer Cruiser W9 Ski Boots Size 5 UK / 23.5 inches. Worn a handful of times on a indoor slope. Unfortunately wrong size for my wife. Grade A condition, but with signs of use. Amazing Fischer ski boots, never been used, just worn once for try them. An affordable entry-level all-mountain model. This ski is just right for good skiers. Stable but not overpowering. Available from here in 184cm. Fischer Vision 80 Womens Ski boot (26.5) + Head Boot Bag. Excellent Condition. Great Condition 28.5 (10.5 UK) Fisher Progressor 110 Ski Boot. Fischer Revolution Carve skis. Approx 167cm long. These skis have lots of marks but no untoward issues and are excellent skis. Pair of used Fischer Austrian made skis VC 100 Tsb size 168. Collection preferred due to size. Fischer's X-Rail shell design generates precise energy transfer between your boots and skis, for smooth and powerful turn initiation. Fischer liner with neoprene Sensitive Toebox reduces toe bang and insulates for warmth. Fisher Progressor Ski Boots Mens, size 27.5 Used but in very good condition. Cost new £275. Requires inner soles to slide into the linings (they were custom made to my feet, so removed). Any inner sole will be fine. Bargain price, buyer collect (Woking) only please. 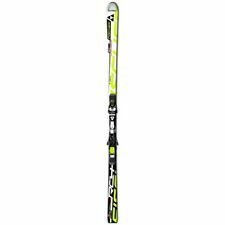 FISCHER VRS Super-X RCR 160cm Skis Tyrolia 560 Bindings. Prompt pickup only from OL128HR. SKIS ARE IN GOOD USED CONDITION WITH THE NORMAL SIGNS OF USER ASSOCIATE USE TO THEM. BINDINGS FISCHER XTR 10. The skis can be collected in person in Abertillery, NP13 (Wales). We do not have a showroom for the skis, but we can arrange a viewing for any specific models you might be interested in. Bought these last year, paid £245. Mondo 25.5, approx 6.5 UK. I like my boots generous for my 5.5 foot as my feet would otherwise be cold! New in box, couple of scratches on the buckle from the box, hence lower price. Blue with contrasting white stripes, hood, drawstring with toggles, chunky white zipper, 2 zipped pockets and silicone coated fabric. It has been worn and cared for. Good skis in used condition. Giving up skiing, so skis and Salomon ski boots for sale (see separate item). Women’s Fischer ski boots size 25.5 in excellent condition. Only worn for two seasons (3 weeks). RRP £280. Free boot bag included also in excellent condition. The stiffest boot in the Vacuum Series is the Fischer RC4 130 intended for racer level skiers going as fast as they can, no matter the snow conditions. This boot has a 98mm last (but can be Vacuum Molded from 93-103mm) with a stiff 130 flex which provides the needed rebound and support aggressive skiers need from their boots. Fischer Koa 159cm Ladies Skis. Condition is Used. Comes with bindings. All information shown in photos, any questions please ask. Collection only. Fischer MT5 skis 185cm. Fischer MT5 semi carve Multicore Tech 185cm skis with Marker M31 bindings in very good overall used condition. but in good Condition - Pick Up Only. Set of Nordic, back-country Fischer Salomon "Ridge Crown" skis, ski poles, carry bag and boots. All have had very little use and are in excellent condition. Fish scales under surface for climbing. Ski length 182 cm, width 5 cm. FISCHER RC4 MY CURVE. The real pleasure is to be had on compact or very hard snow: the grip is excellent with heightened reactivity. 164cm LENGTH. FISCHER Z11 SKI BINDINGS. At a constant speed the Fischer are a dream, they give a strong sense of serenity. You maybe surprised what I’ll take to get them out of the way now 😁. Collection preferred due to size. Sidecut 41 44 44. Air Core Basalite PRO.